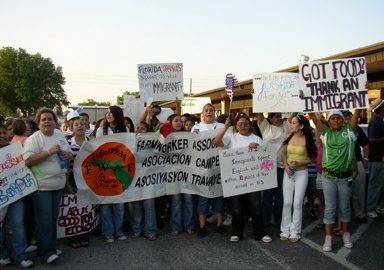 The DFTA is monitoring the fair trade marketplace, promoting domestic fair trade, and connecting stakeholders across the agricultural supply chain. When you donate to the DFTA, you become an integral part in helping us create a food and agricultural system that is fair, healthy, and sustainable. Your gift will demonstrate your commitment to an organization that is led by the most marginalized in our agricultural system. As a non-profit 501(c)3 organization, we rely on membership dues and donations to continue our work. Please consider giving a tax-deductible donation today. You can also help support the DFTA by purchasing one of our organic, fair trade t-shirts! It’s a great way to help us spread the word and all proceeds benefit our work. 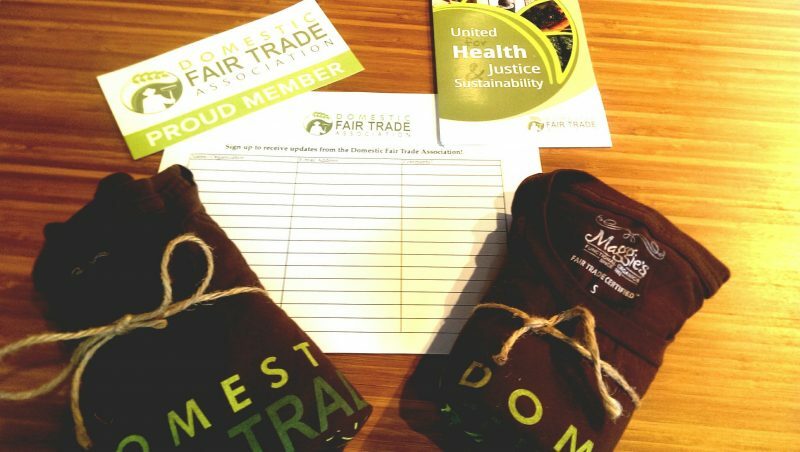 Our t-shirts have our logo on the front and the slogan “Bringing Fair Trade Home!” on the back. T-shirts are $25 which includes free shipping. Use the donation tab above and in the “add special instructions for the seller” section (under the donation amount) specify that it’s for a t-shirt. Please also include your size (S, M, L, XL, XXL) and mailing address.